Home Pets Sleepy Dogs Demonstrate the Art of Naptime. Nothing recharges your day like a good nap. What are the secrets to a great mid-afternoon snooze? Watch and learn from these sleepy dogs – they’re the connoisseurs of ultimate comfort! 1Find a good spot – for example, a nice bed. 2Or in someone’s loving arms. 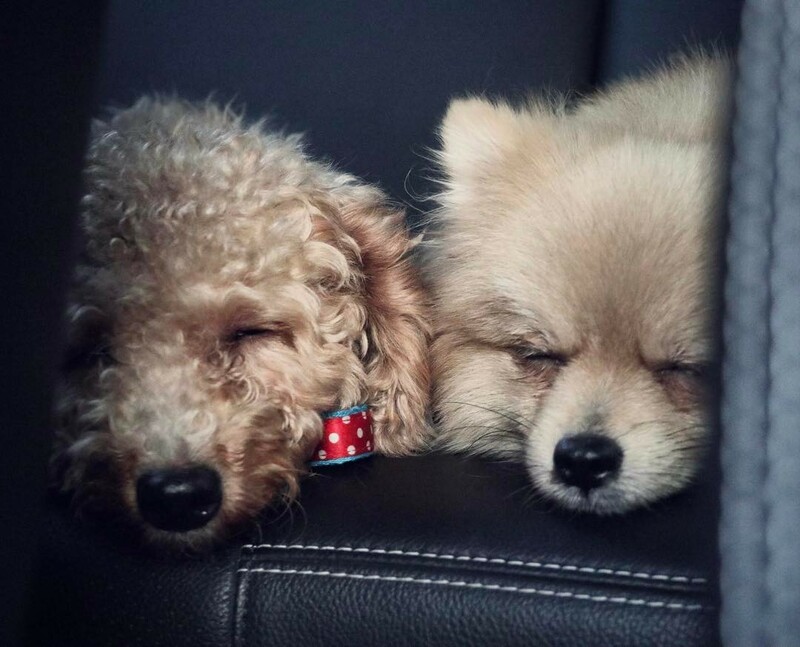 You know it’s been a fun day when you get two sleepy dogs in the car’s backseat. 4Or anywhere! Sleepy dogs don’t discriminate. When it’s hot outside, the floor is quite cooling to lie on. 5Sometimes, it’s because you’re too lazy tired to make it to your bed. The bed…. it’s…. so…. far…. I can’t…. 6But when you do, make sure you’ve got your chou chou with you. Do you smell that? It’s the sweet scent of my beloved chou chou, carrying me to dreamland. 7Put on some comfy clothes. The rattiest, tattiest old tees make the best PJs. 9… or 10 favourite blankets. You can’t have too many blankets for those cold rainy-day naps. 10A snuggle buddy makes naptime sweeter. What’s better than one sleepy dog? TWO sleepy dogs! 11Drift off to dreamland while someone reads to you. The hoomans can have their audiobooks. 12Having someone to sayang you is the best. #tfw you’re in deep sleep but you immediately know when hooman stops petting. Your hands are tired? I don’t care, hooman! 13Here’s a dapper little napper, sporting a bowtie while he snoozes. 14Then again, who cares about appearances when you’re asleep. 16I’ve not a single care in the world! Dogs, cats, bunnies, hamsters, birds, oh my! Check out our Pets category for the internet’s cutest, funniest, and most precious animals. Previous articleHalloween Ready: These Pets Have The Best Costumes! Next articleSheng Ji Noodles: The Definitive Bak Chor Mee!